Team Sweden announced it's initial 16 man roster for the upcoming 2016 World Cup of Hockey, and Patric Hornqvist and Carl Hagelin both missed the cut. While we Listed Hagelin as "borderline" to make the full 23 man roster, we had described Patric Hornqvist's chances as "very good". Hornqvist was snubbed from Team Seeden's 2014 Olympic roster in Sochi over concerns about his speed on the international ice, but with the event being held on an NHL-sized rink Hornqvist would be a better fit. He's a good possession driver who can offer a pyhsical, net front presence that is currently missing from the Swedish roster and might be more needed than it otherwise would for a typical Team Sweden lineup. Hornqvist represented Sweden for the 2010 Vancouver Olympics as well as 3 IIHF World Championships, but Sweden failed to medal in each event. 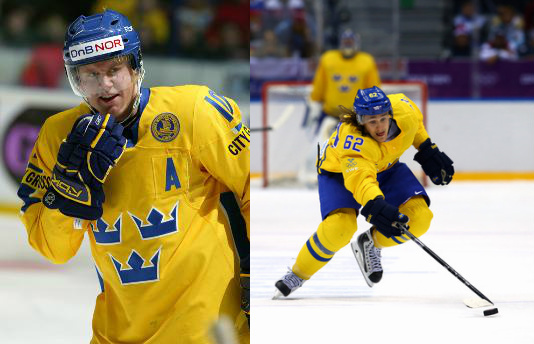 Hagelin was a member of Sweden's Silver Medal winning team at the 2014 Sochi Olympics, but if he makes the Team Sweden roster for the World Cup it'll have to be as a role player in the bottom 6. The deadline for submitting the full 23 man roster is June 1, and both Hornqvist and Hagelin will look to make their case between now and then. The World Cup of Hockey will take place from September 17 through October 1 in Toronto, Canada. 8 teams from various European and North American countries will face off in preliminary play from September 17 - September 22, and the top two teams from each group will advance to the semifinals on September 24 and September 25. The championship round will be a best of 3 setup with games on September 27, September 29, and October 1 if necessary. Evgeni Malkin and Olli Maatta were announced as members of Team Russia and Team Finland, respectively, earlier in the day. The next roster announcements with implications on Pens players are Team North America (5:15 PM), Team Canada (6:05 PM), and Team USA (6:45 PM).